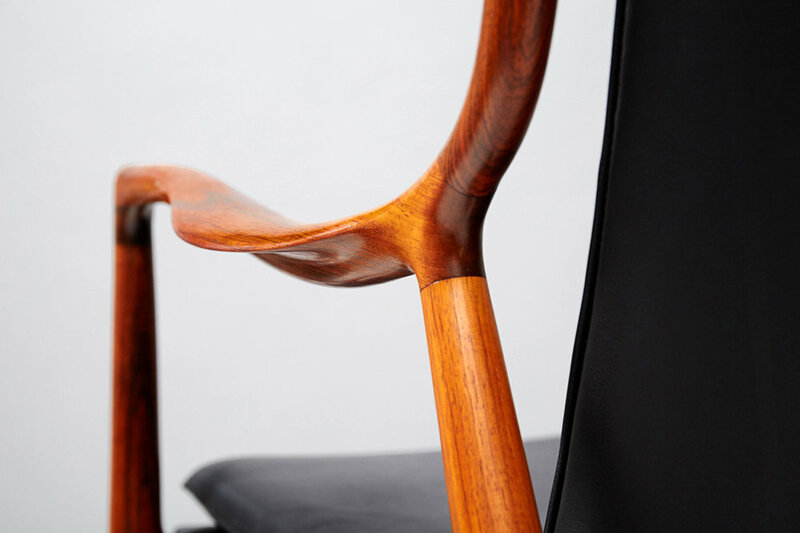 Designed in 1945 the FJ-45 is Juhl's most iconic and important work. 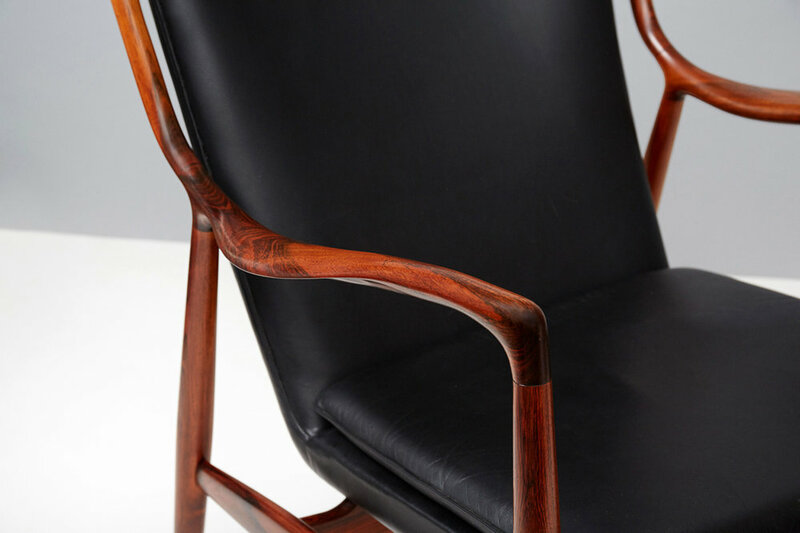 This example was executed by Juhl's long time collaborator, master cabinetmaker Niels Vodder, who produced the FJ-45 exclusively from its inception through to the 1960s. 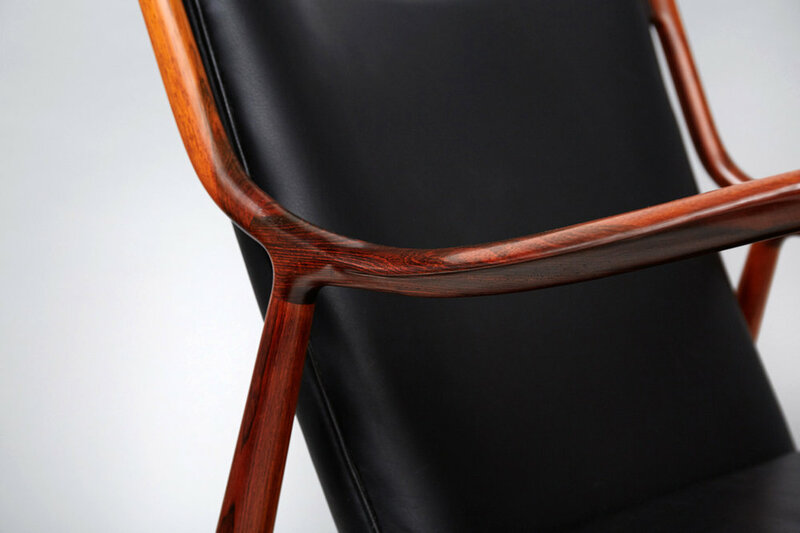 A small quantity were made in Brazilian rosewood with black leather upholstery in the early 1960s. The patinated black leather remains in excellent condition.